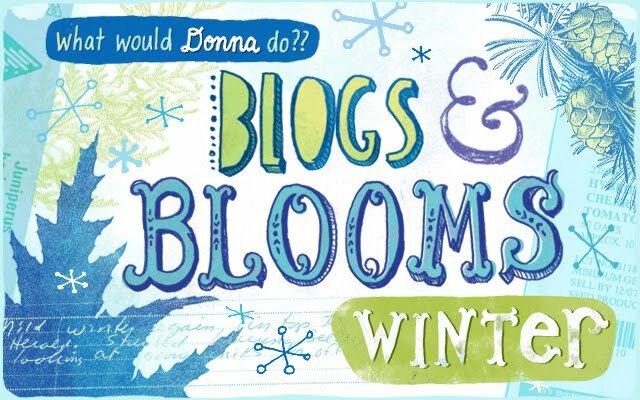 Niki Jabbour fell into the winter gardening idea kinda by accident. She was all done for the year when she noticed some still edible Corn Salad in her November garden. She tossed a row cover on it and kept right on harvesting and eating. 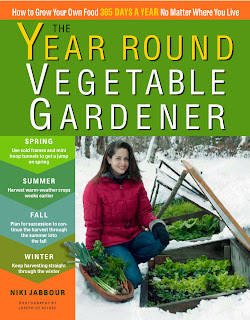 Winter gardening works for Nikki and now she has a new book out called "Year Round Vegetable Gardener" (Storey Publishing, $23.95 in Canada). I told her I was a sceptic. She lives in a relatively warm zone 5-6. "How are all those poor zone 2-3 gardeners gonna do it I asked". That's when she told me it was Minus 28 Celcius in Halifax last week. Ouch. Obviously at those temperatures when she was out gathering Kale it is frozen solid. No problem, says Jabbour, who is known to crumble and put the frozen extras away in the freezer for later use in soups and stews or give it frozen to her kids and call it Kale-cicles" - kind of a mother approved version of the always popular popsicle. Is Jabbour wildly creative? Yes. In her book she shares her Lebanese Mother-in-law's love of Endive (not the Belgium Endive - the real thing- page 142). She talks about not being handy but together with her husband she supported her row covers so they could support her plants after a heavy 2' deep wet Halifax snow (page 62). She is sympathetic with my woody dense carrots harvested yesterday - and suggests gently I should have tried Napoli carrots- a variety known to be sweet year round. Even with 30 years gardening experience I am always learning. I check my big supply of seeds just in from various suppliers. No Napoli's on order. Better order them before Steve beats me to it and orders them all. 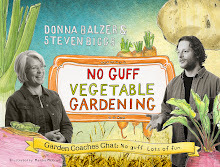 Buy Nikki's book if you want to stretch your season for vegetables beyond May 24-Sept 1. for more info check out her blog: http://yearroundveggiegardener.blogspot.com/ or check out our Garden Coaches Chat web page (button on the left) for the podcasts we taped this morning.